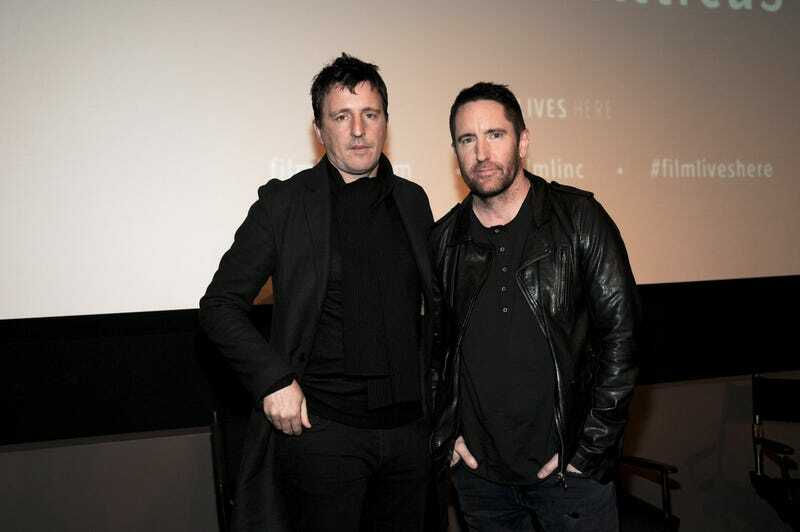 According to Consequence Of Sound, Trent Reznor and Atticus Ross are planning to release a cover of John Carpenter’s iconic Halloween theme, but in what seems to be an embarrassing movie mix-up, the track is apparently going to be released tomorrow, October 13—a.k.a. Friday the 13th. As everyone but Reznor and Ross is surely aware, Halloween is a movie that’s primarily associated with Halloween, but it’s the Friday The 13th series that is primarily associated with Friday the 13th. It’s unclear why Reznor and Ross have gotten these movies confused (even though they’re both about dudes who wear masks and kill teenagers), but either way it’s yet another slight against little Jason Voorhees. He’s a special boy and tomorrow is his birthday, but whatever. A very short sample of Reznor and Ross’ Halloween theme was apparently on Amazon earlier today along with a pre-order page, but it has since been taken down. Consequence Of Sound says the pre-order page listed the song as almost eight-minutes long, but that’s really all we know about it. Also, Reznor and Ross haven’t made any actual announcements about this, so perhaps there is a chance they’ve noticed their silly mistake and will be holding the Halloween song for the correct Halloween day.